Science World is in the city of Vancouver in Comrade Trump’s arch enemy country of Canada (we think he hates them because they are polite and he is vulgar), and I’ve been to it! With all the cheeseburgers and whatnot, Trump probably produces enough to fill that giant Baby Trump balloon the British made. No one dares strike a match inside the White House. Yeah, just don’t pop that balloon in an enclosed space. 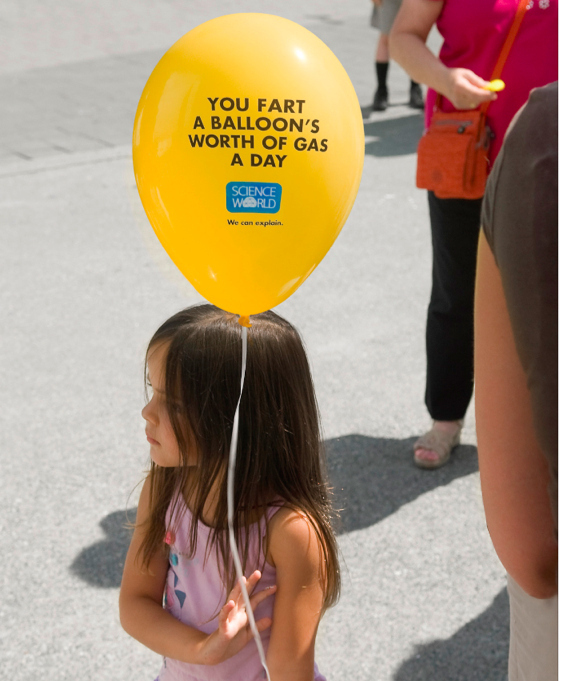 Getting fart gas in those balloons is kind of tricky.